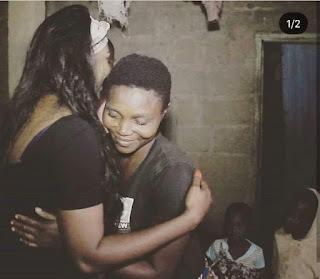 Isabella Agbor Ayuk, former Most Beautiful Girl in Nigeria (MBGN) lost total control and broke down in tears when she came face to face with the reality of a widow, Rose Leku Asigbe who was thrown out of her home by her mates’ children after her husband died, left to live with her six children in abject poverty at one of the most feared flood torn area in Bendeghe-Afi community of Cross River State. Ayuk and her Isabella Ayuk Foundation, IAF team were out at the beginning of the year on a five day charity outreach on indigent widows and Cameroonian refugees displaced by crisis in southern Cameroon, beginning from Thursday, 8th February. Despite arriving Ikom late at night Ayuk and her team immediately proceeded to visit Asigbe in her home, where she fully ascertained the circumstance the widow was living in. 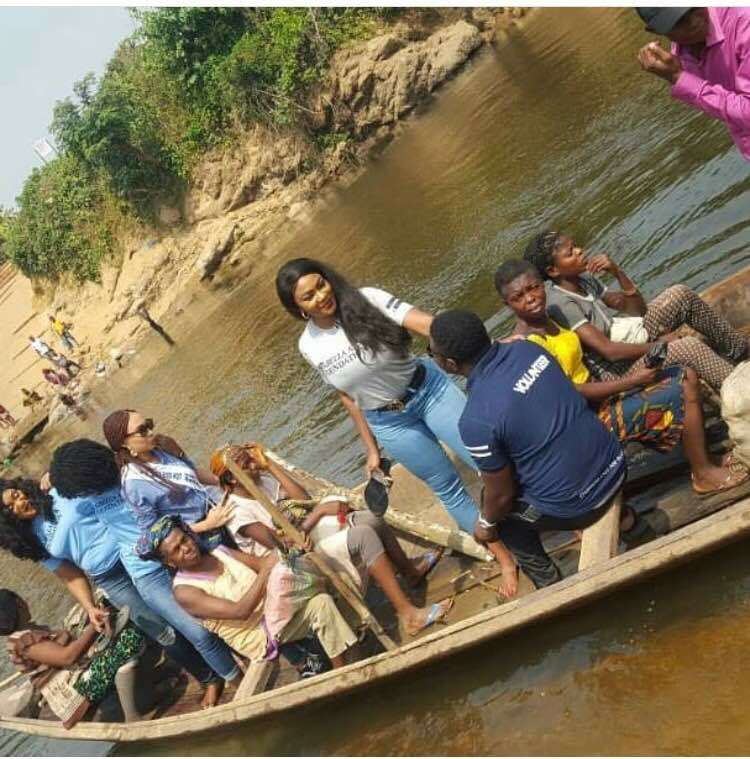 Accessing Bendeghe-Afi community where the widow resides was not a thoroughfare for the IAF team as they had to traverse three communities of 24km of poor road access and were ferried on canoe across Bendeghe-Afi river that night to be able to reach Asigbe. 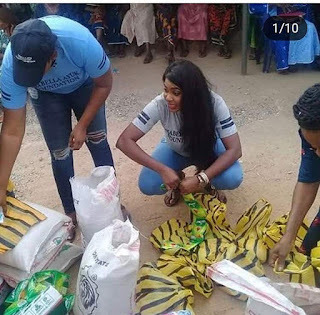 On reaching the community at about 8pm, Ayuk and her IAF team had to wait for Asigbe as she was out to scout for what she and her three children will feed on the following morning. 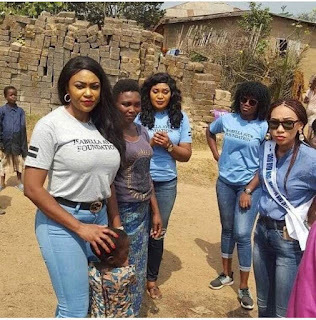 When Asigbe heard about the team’s visit not only did she find it hard to believe her eyes that former MBGN queen came personally to visit her as she settles down to narrate her untold story to Ayuk and her IAF team. 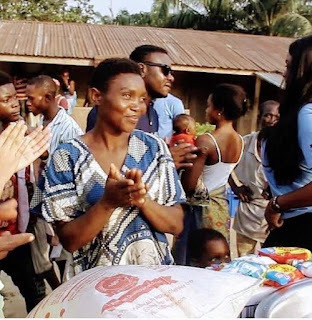 On hearing the widow narrate her story, Ayuk became emotionally struck and tears flowed out profusely. 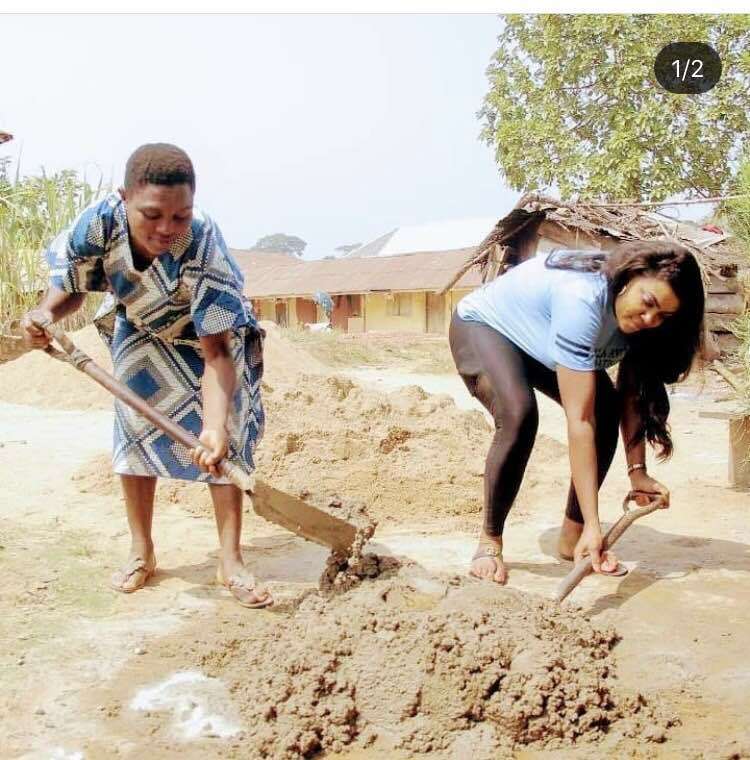 She wandered what the widow did to deserve the treatment met on her. 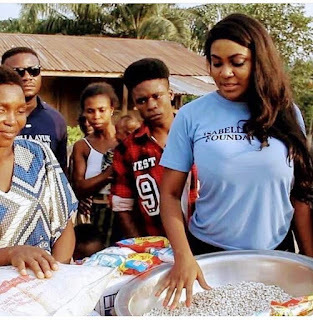 The widow, who originally hails from Obudu and married late Leku Asigbe has six children for her late husband, but has given three out as house-helps with only the destination of two known to her. 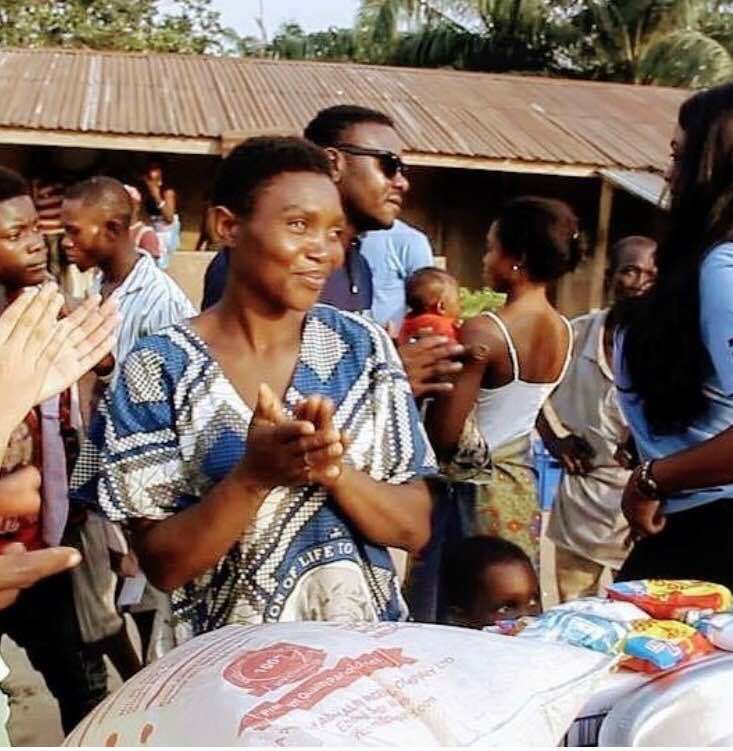 Asigbe said she did it all for the survival of her remaining three kids, who are still tender in her arms. 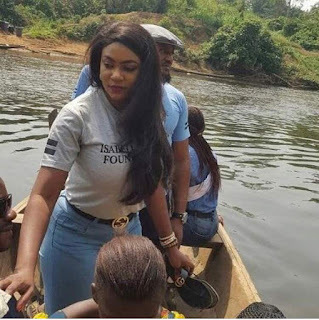 But help finally came when Ayuk and her team paid a visit to Asigbe as the Isabella Ayuk Foundation did not only relocate the widow and her children from the flood tide zone to an area that feels safe, but also opened a small-scale business for their subsistence. 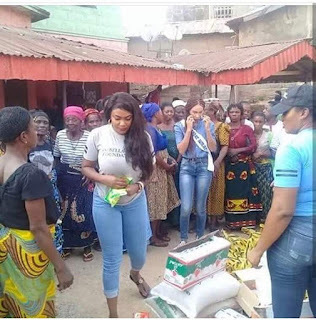 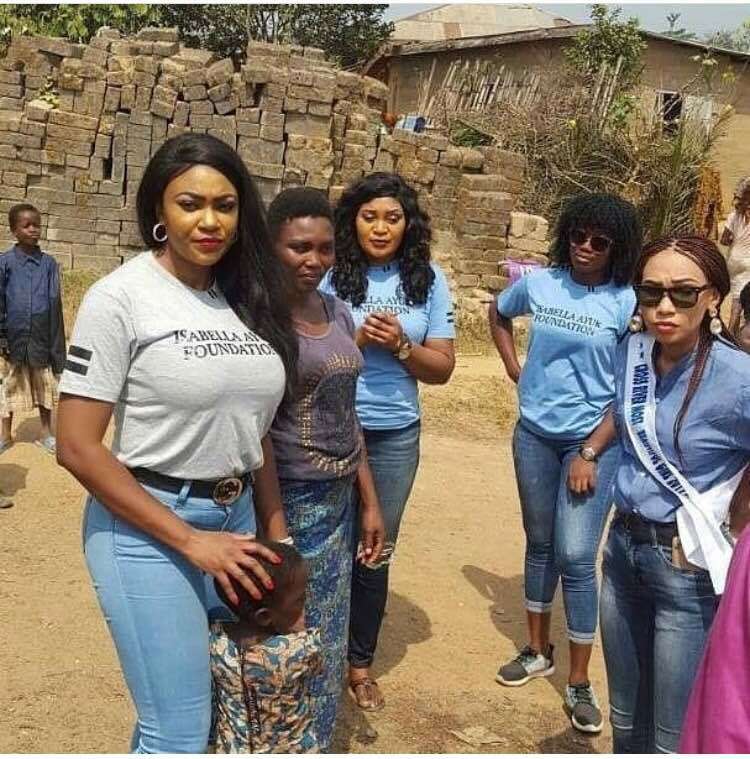 After the meeting with Asigbe, the ex-beauty queen also took out time to visit a large gathering of widows at Bendeghe-Ekeim where she provided them with food materials and had a swell time with them as they composed traditional odes for Ayuk and her team while they danced.